Size: Size: 12.5 in. x 11 in. diameter: 20 in. 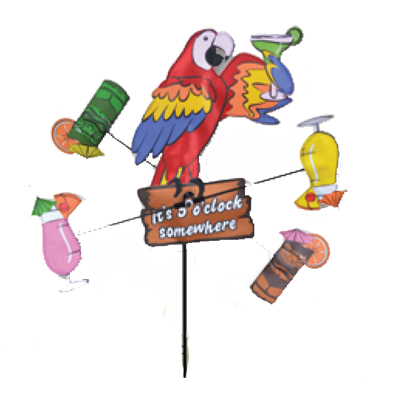 From Premier Designs, the 18 inch Whirligig makes a fun and charming addition to any outdoor decor. Great colors, fast movement and ease of assembly are the hallmarks of the 18 inch Whirligig. Features brightly colored fabric with fiberglass frames. Rotating nylon and fiberglass wings are designed to catch the breeze.